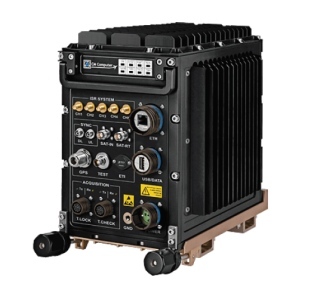 An extensive range of universal COTS ATR chassis designed for military aerospace platforms & UAV applications requiring a high performance, cost effective solution. 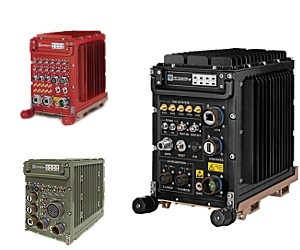 CM Computer ATR products are Tested and Certified by independent authorized labs per MIL-STD-461E/F & MIL-STD-810F/G for immediate deployment in Navy & Air Force military Fighters, Submarines, Ground Systems, UAVs & Helicopters. Fully configurable build options include :- backplanes (number of slots, cPCI, VME, VPX), power supplies, cooling, extended top & bottom covers, I/O & front panel connectors, logos, silk screening, paint finishes etc. 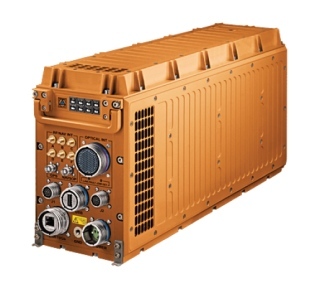 CM ATR military Power Supply Units (PSU) are custom made to match the enclosure mechanics. The PSUs have exceptional output power and are available in up to 575W (5 slot), 825W (7 slot) & 1550W (12 slot) versions to satisfy the full range of applications regardless of card-cage power needs. 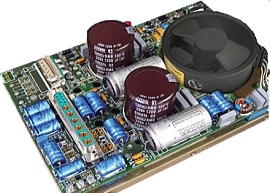 Chassis fitted with a DC PSU are equipped with a VICOR Filter Input Attenuator Module (FIAM). Integrated prior to DC/DC converters, this front-end device provides; EMI filtering, autoranging line rectification, inrush current limiting & transient protection. AC PSUs are fitted with VICOR military Filter Autoranging Rectifier Modules (FARM). CM ATR backplanes are available in 6U & 3U formats with 3, 5, 7, 9 & 12 slots. 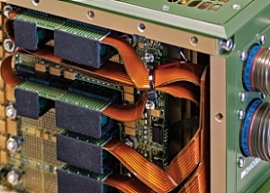 The integrated backplanes are low noise, full military VMEbus, VPX or cPCI compatible and provide fully standard bus slot & signal daisy-chain functionalities. For VPX and OpenVPX, backplanes are available in VITA 46 / 65 / 66 / 67 in both 0.8” & 1" pitch size slot versions. Connectors J3 thru J6 are free for customer I/O wiring. 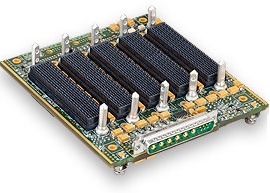 J1 incorporates high-speed MultiGig mesh switched serial fabric connectors (up to 10 Gbps), full mesh topology, interconnects Rapid I/O, PCI-Express and 10 Gigabit Ethernet. CM ATR I/O Rigid-Flex wiring harness offers a complete configurable custom I/O wiring solution. Flex and Rigid-Flex circuits are capable of carrying hundreds of signals within a small space, constituting an advanced wiring solution for high density I/O ATR enclosures.